This warmer features variable thermostat controls, temperature lights, and an on/off switch. 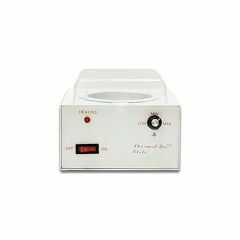 It quickly and evenly heats wax to a workable temperature for all of your depilation needs. Keeps wax at a constant ready-to-use temperature even after first applying. Makes hair removal easy, convenient and safe. This single wax warmer accommodates both 14 oz, 16oz or 20 oz containers.